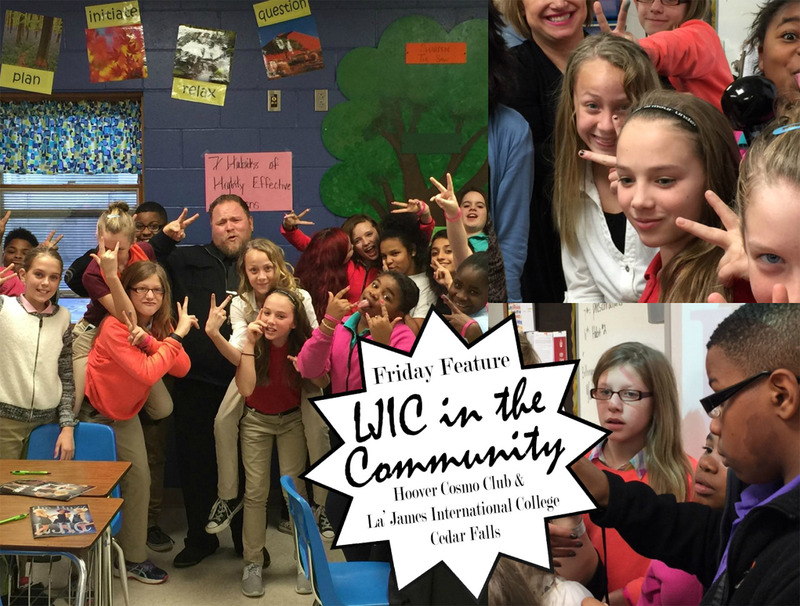 La’ James International college in Cedar Falls has exemplified the meaning of Community Outreach! For five months, LJIC instructors and students from Cedar Falls were assisting 6th, 7th, and 8th graders from Hoover Middle School in developing soft skills and career mindedness. 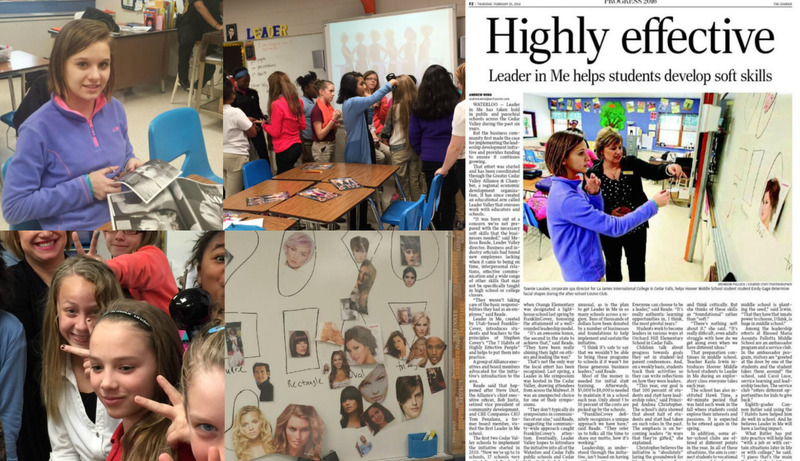 These meetings and demonstrations were apart of Hoover’s Leader in Me program led by Kayla Irwin, “The Leader in Me program takes the initiative to find the talents and gifts in every student. It recognizes that not every child has the same talents or skills and enables the student to first, recognize what talents and gifts they have, then learn to utilize them and gain the knowledge to carry that into a career.” The program incorporates Franklin Covey’s, ‘7 Habits of Highly Effective People’ into the schools in order to get students to explore and discover out of the box thinking. LJIC’s Cosmo Club visited the school weekly with a new topic and demonstration at each meeting! “We discussed applying make-up, how to properly use hot tools, washing hair effectively, proper skin care/hygiene and much more” LJIC Corporate Spa Director, Tawnie Lavallee states! 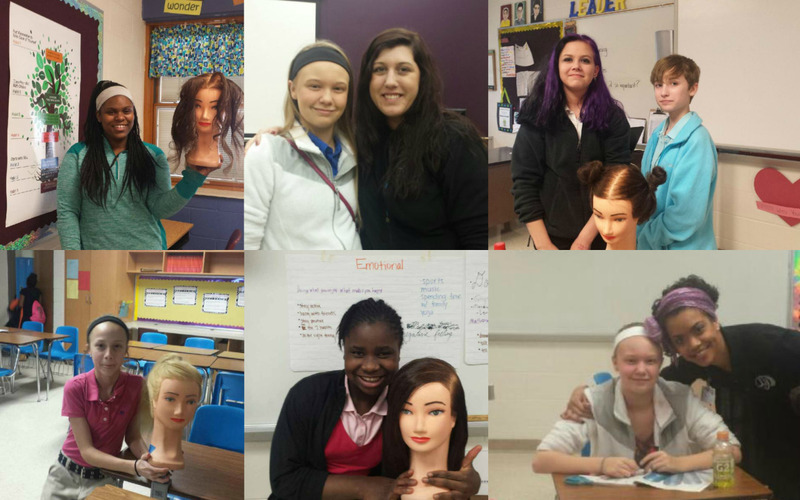 LJIC students would partner with the middle school students to do hands on activities such as: up-dos, braiding, nail art and curling. “I LOVED to see the expressions on their faces when they caught on to something and see them gain that self-confidence,” Mrs. Lavallee. 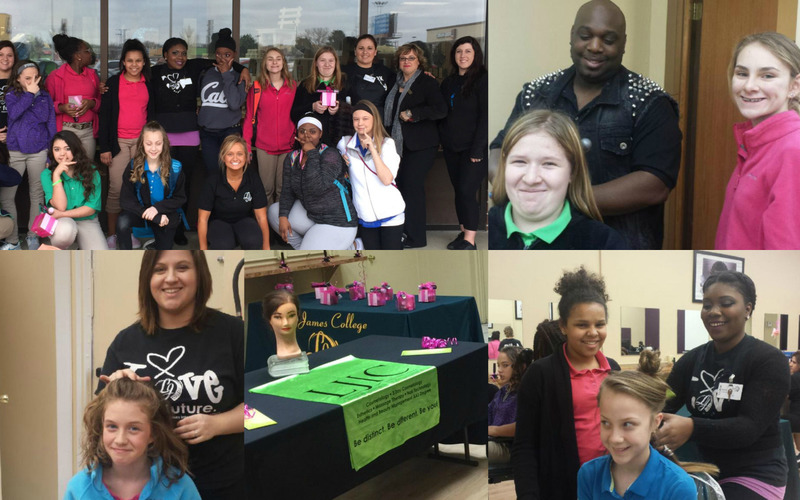 The Cosmo Club program opened students’ minds about the VARIETY of skills available for a cosmetologist, not just being hair care. “The student’s gained confidence, practice skills, and a sense of community with each other. They had bonding experiences with other classmates and developed friendships with students in other grades that they don’t regularly interact with!” Said Ms. Irwin. The Cedar Valley area’s initiative to incorporate the Leader in Me program into their student’s education has not gone unnoticed! The program recently received ‘Lighthouse Recognition’, only the 2nd Leader in Me program in the NATION to receive this recognition!! Irwin states, “There is 144 pre-determinded criteria and requirements that a school must demonstrate in order to achieve this recognition. Some criteria include: school events, parent involvement, and staff leadership!”The organization that lead the Leader in Me program held a panel interview for Hoover Middle School where they interviewed parents and the community to see how the 7 steps are being incorporated into the school. LJIC’s own Career Planner, Boomer Smith, was invited to attend this interview process!! “We were asked questions about what we thought about the program and how student’s soft skills were increasing: are the students open to communicating their opinions, bold in speaking, able to get in front of a class and present?” LJIC staff and students were thrilled they could be a part of this recognition and community outreach and can’t wait to participation in more community events!